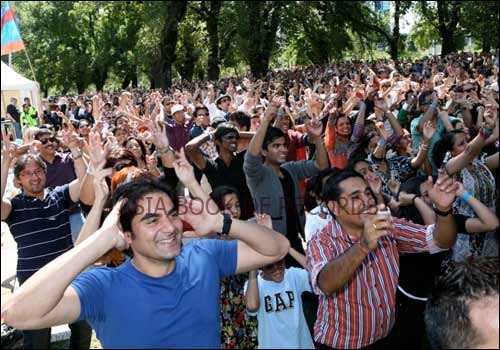 Over 1,200 people danced for three minutes on the song “Munni Badnaam Hui”, led by Malaika Arora Khan, in Melbourne, Australia. The event was organized by Indian Film Festival 2011 director Mitu Bhowmick Lange. Comments for SONG TO WHICH MOST PEOPLE DANCE TOGETHER are now closed.